Visiting Oregon Wine Country? Here's your guide to wining and dining your way through a long weekend in the Willamette Valley. After you've pick to your hearts content, stop to sample local wine at a boutique winery like St. Josef’s Winery, AlexEli Vineyards, or Beckham Estate. The winemaker behind Beckham Estates is also a talented potter; stop to browse the gallery adjacent to the tasting room, and sip wine that's been stored in hand-crafted clay amphora. Take Hwy 99W to Yamhill County. Stop by a favorite of hometown winemakers, The Dundee Bistro. Like other area chefs, Dundee Bistro's chef takes great pride in using locally grown organic ingredients that showcase the bounty of Willamette Valley’s farmers. As you enter the heart of Oregon’s wine country, you’ll find nearly 400 wineries ranging from large-producing estates to small, boutique artisans such as WillaKenzie Estate. For a taste of multiple small-batch wines, visit Carlton Winemakers Studio, where you can sample hand-crafted wine made by independent winemakers. You can also stop by Erath Vineyards Winery to see one of the true pioneers of Oregon’s wine industry. 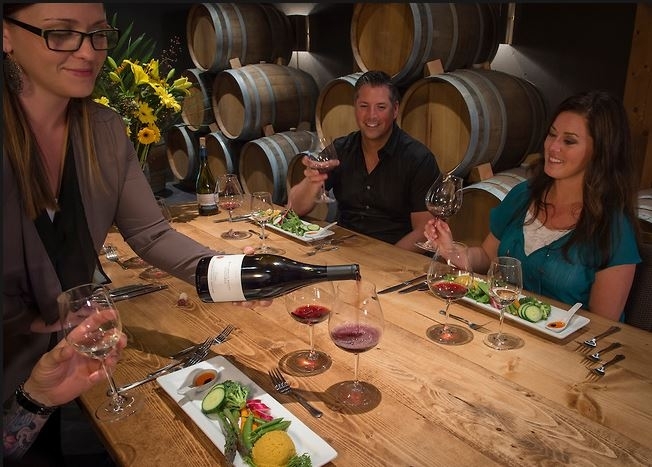 Yamhill County has become the culinary hot spot of Oregon’s wine country – the perfect destination for any foodie. Enjoy innovative, seasonal dishes in a charming Victorian setting at The Painted Lady Restaurant. Nick’s Italian Café in McMinnville is a legendary restaurant championed by winemakers and travelers alike. Enjoy Chef Nick Peirano’s handmade pasta and an extensive Oregon wine list. Or visit the Joel Palmer House in Dayton, where Chef Chris creates culinary works of art based on sustainable, regional ingredients – primarily wild mushrooms. You don’t have to venture to the hills of Tuscany for an Italian retreat. Centrally located in the Red Hills of Dundee, the Black Walnut Inn is the perfect jumping off point for the area’s numerous world-class wineries and wide range of activities. Or try a little Glamping at The Vintages Trailer Resort. Enjoy a delicious breakfast your hotel, or try the house-made granola at Community Plate, made with Oregon-grown hazelnuts and served with yogurt and honey. Then take 99W south to Corvallis. Saturday travelers will want to stop by the Downtown Waterfront to sample some of the region’s freshest local produce at the Farmers Market. Enjoy the best of the Pacific Northwest’s fare at Big River Restaurant, or go Italian at American Dream Pizza. Or, get a taste of Asian fusion at Magenta. Here dishes are influenced by the many different foods of Southeast Asia and incorporate wild, bold flavors while remaining simple and tasty. Continue south on Hwy 99 and arrive in Eugene, one of the Willamette Valley's southernmost cities. There's something for everyone here – from world-class arts, to outdoor adventure. Taste some of the valley's finest wine while enjoying spectacular views of the region at King Estate. This grand winery features 1,033 acres of organic vines, trees, produce and flowers. 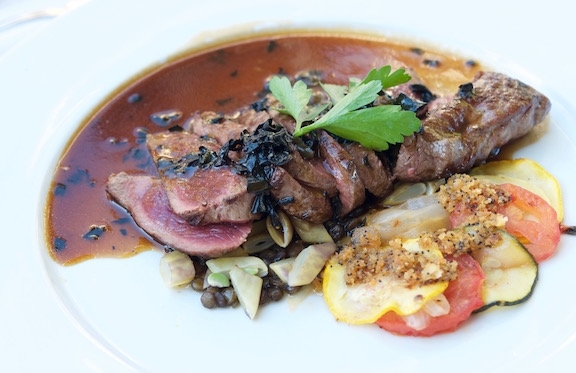 After a tasting of Pinot gris, savor an estate-grown meal in the restaurant. The Inn at the 5th, is a boutique hotel that includes a relaxing day spa, fine dining and the historic Fifth Street Public Market, full of artisan shops and eclectic restaurants. Begin your morning in Oregon's Emerald City with a hot cup of coffee or fresh juice and a visit to Sweet Life Patisserie, an artisan bakery serving specialty breads, pastries, cookies and more using the Willamette Valley's freshest produce. Then depart Eugene by heading north on Interstate 5 towards, Albany. Take a Walking Tour of Albany’s four historic districts or drive through this friendly town as you immerse yourself in the past. For lunch, eat at First Burger, an old-fashioned hamburger place with Northwest flair. Buns are made from scratch in-house daily and all meat and produce are sourced from local farmers. 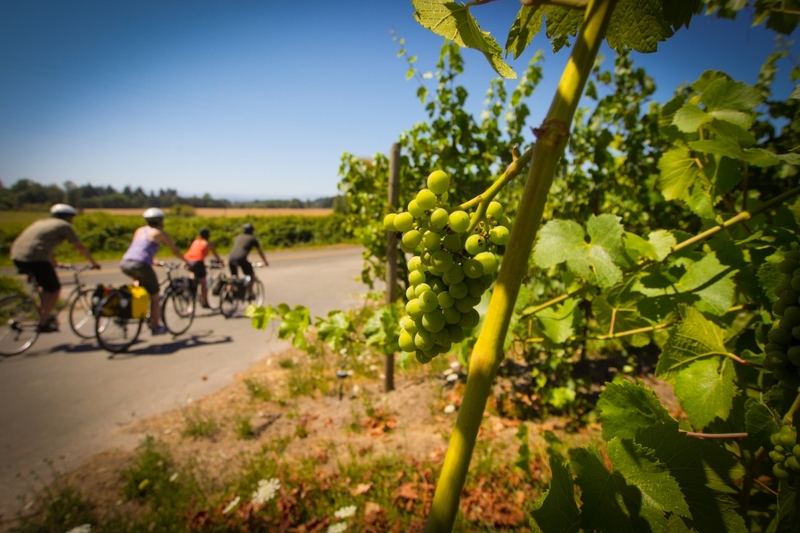 Depart Albany and head north on 1-5 and stop in for a visit to Willamette Valley Vineyards. For over two decades they have been perfecting their craft, producing some of the best wines Oregon has to offer. Afterwards, wrap up your tour of Oregon's Wine Country at Coria Estates to try a daily wine tasting, or pick up a salsa lesson at Cubanisimo Vineyards. End your day checking-in to the Oregon Garden Resort in Silverton, where you will find a lush, flowing 80-acre botanical wonderland to explore while lodging in luxury.